Let us preserve the « marais », « zone Natura 2000 », one of the largest bird migration corridors of Europe ! Please note : this project of 30 to 40 industrial wind turbines represents at least 1.500 tons of reinforced concrete each, multiplied by 30 or 40, therefore 45.000 to 60.000 tons buried – essentially forever – in the soils of the marais! 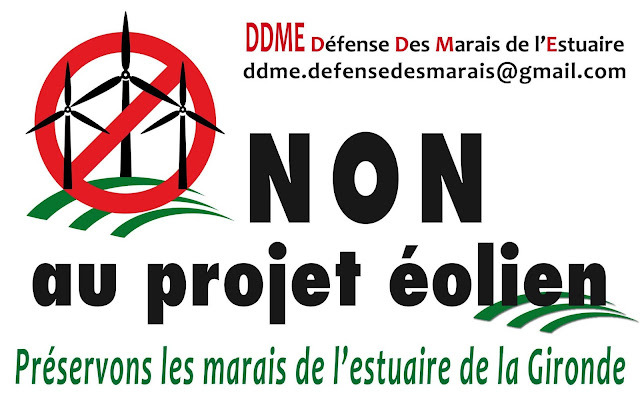 Let us not allow the destruction of the marais, nor the fragile balance of the ecosystem nor the biodiversity!